Deptford Church Street is a site that is being used to help construct the Greenwich Interconnection Tunnel between Greenwich Pumping House and Chambers Wharf. Specifically, it’s purpose is defined on the Thames Tideway Tunnel web site as follows. It will be used to intercept the Deptford Storm Relief Sewer combined sewer overflow, divert flows into the Greenwich connection tunnel and to the main tunnel. This Google Earth image shows the area. 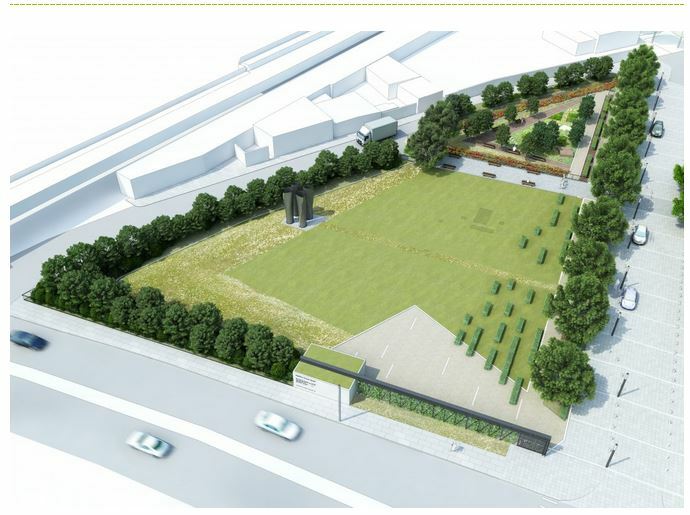 The work site at Deptford Church Street are to the north side of the Greenwich Rail Line in part of the green space and this is a visualisation of the area from the Thames Tideway web site. 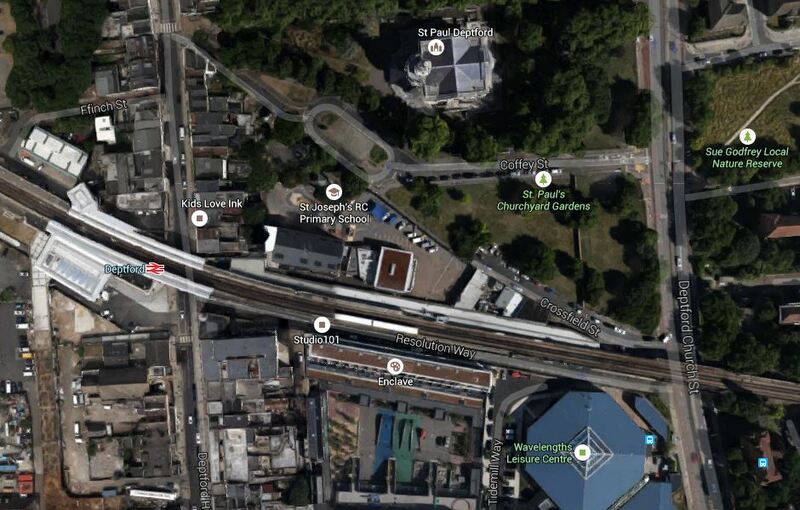 The corner at the bottom left of the green space is tucked between the Greenwich Rail Line and Church Street, which runs across the front of the image. I also took a few pictures of the area. I think it is true to say that we’re good at landscape gardening in this country and I can envisage a garden design being produced here, that could enhance the whole area. As the image shows, there will be a few smallish structures in the garden.